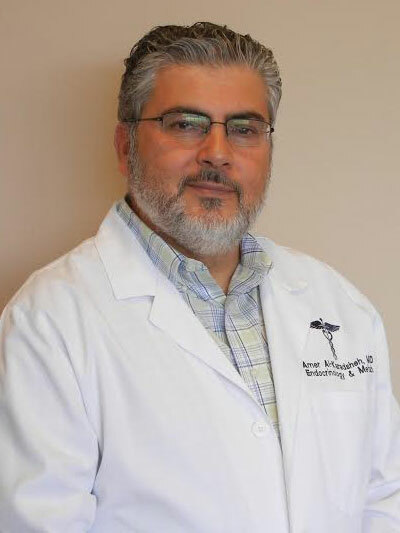 Dr. Al-Karadsheh has been serving the Houston area for over 15 years treating individuals with multiple endocrine conditions including diabetes, metabolic dysfunction, thyroid disorders, non-healing bone fractures resulting from osteoporosis, acne, hirsutism, and chronic fatigue syndrome in order to optimize his patients’ health and well-bein . He has experience and a special interest in treating infertility by identifying and restoring hormonal balance which, if successful, can lead to pregnancy without IVF treatments. More recently, Dr. Al-Karadsheh has implemented a weight management program with an emphasis on weight reduction, increased exercise, and prevention / reversal of serious weight-related health complications.